- Slightly better than casual recognition in their own country, but superstar status in Europe is the story of Saga. Formed from the core of Fludd, bassist Jim Chricton, Peter Rachon on keyboards and drummer Steve Negus, they recruited Chricton's younger brother Ian on guitars. Pockets was born. The group toured the local Toronto area doing bars for a few months until singer Michael Sadler left a local group called Truck to become their frontman. His vocal stylings blended with their progressive yet eclectic sound. It wasn't long before the group was noticed by Maze Records and signed to a deal shortly thereafter. Recorded by Paul Gross at Toronto's Phase One Studios, their self-titled debut was released in '78 and was instantly met with rave reviews for their tight, sophisticated approach. Though the single, "How Long" failed to make an impression on the charts here, it received constant airplay in Britain and Germany. Also heavy on the charts overseas was "Humble Stance". Gross returned as producer for the next project. IMAGES AT TWILIGHT came out a year later and again was met favourably by the critics. With new keyboardist Greg Chadd, "It's Time" and "See Them Smile" did receive airplay in the Toronto area, but both failed to make much of an impression anywhere else in North America. Again though, the band's hard-edged guitar sound mixed with progressive keyboard rhythms were more appreciated in Europe, sparking an overseas tour. 1980 saw the release of SILENT KNIGHT. Maturity showed in the writing, evidenced by "Don't Be Late" becoming their first gold single. New keyboardist Jim Gilmour also brought a new element to the songwriting process. Even so, the album still failed to garner the success they already enjoyed in Europe. So again the band spent a good deal of their time touring England and Germany venturing into the former eastern block countries, in support of other radio hits there such as "Help Me Out" and "Careful Where You Step". Their breakthrough album in North America came in the form of 1981's WORLDS APART. Produced by Rupert Hine, whose credits included The Fixx, Howard Jones, Thompson Twins, Chris DeBurgh, Tina Turner and Stevie Nicks, it instantly saw "On The Loose" go platinum followed by "Amnesia" and "Wind Him Up", the tale of an obsessive gambler. The album also saw Gilmour sing lead on "No Regrets". A more commercially acceptable sound supported a North American tour, but for the most part, Europe was their bread and butter. The group's first live record came out in '82. Recorded in Copenhagen and Munich, IN TRANSIT, though nothing particularly mesmerizing, did showcase the versatility of the group,spanning all four albums. Also noteable was Negus' drum solo on a briefcase, called, oddly enough, "A Briefcase". HEADS OR TAILS hit the stores the next year and saw the group take a slightly heavier path with "The Flyer", but stayed true to their sophisticated roots with "Catwalk" and "Scratching the Surface". Though still not anywhere near their status in Europe, SAGA was finally getting fairly steady airplay on this side of the ocean. BEHAVIOUR came out in '85 and contained the hit "What Do I Know". Although still a fine record, the record failed to hold the same magic as some of their earlier efforts. Outside projects resulted in both Jim Gilmour and Steve Negus. This also kept the group from recording until 1987's WILDEST DREAM. "Only Time Will Tell" did go gold here, but the true appreciation of their return was in Europe as always. The group cut BEGINNER'S GUIDE TO THROWING SHAPES in '89 after another hiatus. The time off proved to do more harm than good, as it turned out to be their worst seller. They put the group on hiatus again soon after, giving them time to pursue individual projects, including Crichton and Gilmour both releasing solo albums over the next few years. Gilmour also teamed up with Saga-mate Steve Negus for the Gilmour-Negus Project's 1993 release SAFETY ZONE. A greatest hits package was released in '93 and the attention given them saw SAGA reunite again to put out SECURITY OF ILLUSION. Now situated out of Los Angeles, the record marked a turning point for the band. Backed by the driving guitars of "Mind Over Matter" and eclectic rhythms of "Without You", the album quickly went gold in practically all four corners of the earth. They quickly followed up the next year with STEEL UMBRELLAS. True to Saga fashion, it contained the usual carefully layered rhythms and leads. GENERATION 13 was released in '96, followed by PLEASURE AND PAIN the next year. Though the record execs had long by now abandoned properly supporting the supergroup, both records exemplify Saga's musicianship and sheer brilliance. 1998 saw the release of their double live album, DETOURS. Capturing the group in their brilliantly live best in several European venues, it was more of a treat for the die-hard fans, as no singles were released, but recapped the band's 25 years entertaining the masses, including "In The Hall Of The Mountain King," "Don't Be Late," "Scratching The Surface," "On The Loose," "Humble Stance" and "Don't Be Late." They followed it up with FULL CIRCLE a year later, featuring the lead-off "Remember When," "Uncle Albert's Eyes," "Don't Say Goodbye" and "Time Bomb." More tours of mainly Europe ensued to sold out crowds before the band ventured off to do outside projects again, including Crichton joining the ranks of Asia in 2000 for their AURA album. But he was back in the Saga fold for 2001's HOUSE OF CARDS, FEATURING "That's How We Like It," "Once In A Lifetime," and "Always There." Althought the tours were shorter, the band continued to record throughout the decade, releasing MARATHON in 2003 and NETWORK in 2004. 2005 saw the release of the live album, THE CHAPTERS LIVE. With Negus now formally gone from the group, they recruited Brian Doerner, ex of Helix as the new drummer, releasing TRUST in 2006, the same year IT'S YOUR LIFE, a three-track EP was released to fan club members only, and REMEMBER WHEN - THE VERY BEST OF SAGA, featuring both studio and live recordings, and WORLDS APART REVISITED, a double live album, were unleashed on the general masses. 10,000 DAYS came out in 2007, the final album with Michael Sadler behind the microphone. The next spring, the band announced Rob Moratti, a native Torontonian and one of dozens of those who auditioned for the part, was their new singer. The band took the time to work on other projects again, including Doerner setting up his side project, The Evil Twin. - Saga opened their campaign on the Toronto and district club circuit with an uncompromising brand of original music. For the first live show - on June 13th, 1977 - the band had prepared 20 to 30 original songs. Sadler recalls that evening: “That night, we filled the place with friends. Since most agents were wary of using acts that didn't do cover versions. We didn't care what was fashionable at all. In fact, we quickly realized that fashions could change overnight, so we just stuck to playing what we wanted to play”. Within six months, Michael Sadler, Jim and Ian Crichton, Steve Negus and Peter Rochon had perfected the material that found its way onto their self-titled debut album. In a move that also articulated their business savvy, the band elected to finance the project on their own. Their first album appeared on Polygram Records in Canada and was soon transferred to their own label. “We believed in what we were doing” says Jim. “We wanted to be able to say: Here's the package, the record, the jacket, the works." Saga's debut recording was released in June 1978, then occurred one of those fortunate twists of fate that the music industry is renowned for. A record outlet decided to export a number of records to Germany. Within a few weeks the band’s debut went on to sell 30,000 copies as an import. Then Polygram, not slow to catch on, quickly signed Saga for Continental Europe. By this time, the band had also mapped out the script for a sixteen-song science fiction story, to be split among many albums in a non-sequential order, in fact this recording had only Chapters 5 & 6. This was Saga’s first endeavor at a more cinematic approach to music. With international feedback gaining momentum, Saga returned to the studio to produce their second LP Images At Twilight. It was at this time that keyboard player Rochon was replaced by Greg Chadd. On their third album, Silent Knight, current keyboard player Jim Gilmour replaced Chadd. In 1981, Saga would grab their first Juno Award (Canada’s Grammy award), for Most Promising Group. With German interest growing all the time, success in the United States continued to elude them until 1983, when they released the hugely successful Worlds Apart album with this recording all ready in the European and Canadian markets for over a year. From the start of the US release it was straight up hill to the top. Produced by Rupert Hine, the album entered the Billboard Top 10 and included two top 40 singles, most notably “On the Loose” which reached the number 3 mark on the Billboard “Hot 100.” The album itself went on to amass gold and platinum awards in the U.S., Canada and most major European territories. Saga always in the forefront new technology became one of the pioneers of the MTV music video scene. Saga's achievements in the studio were equaled (and some-might say) eclipsed by their accomplishments on the road. As a first-rate live attraction, sell-out tours of Europe and Canada continued. This provided the basis for the group’s fifth album - In Transit - the first fully digital CD by a rock band. The follow-up studio album was also collaboration with Rupert Hine, entitled: Heads Or Tales. Once again the band enjoyed international success with sales stronger than ever in Europe and Canada. The album went to number one on German charts, and was a top 5 record in most other European territories. It was on St. Valentine's night, 1982, that Saga had the distinction of becoming the first Canadian rock band to perform behind the Iron Curtain, playing before over 10,000 fans at the opening of a new sports arena in Budapest. Saga was also presented with the prestigious German Gold Ticket Award, for being the year’s top selling concert act. In 1985 Saga released the critically acclaimed album Behaviour, but by 1986, after several years of constant touring and recording, the band found themselves wanting a break. It was at this time that founding member Steve Negus and Jim Gilmour decided to exit the group and pursue other musical interests. In 1987, the remaining three members of Saga continued on to record Wildest Dreams with the production seat this time taken by Keith Olson, one of the most successful producers in the music industry. The self produced The Beginners Guide To Throwing Shapes, followed two years later, along with the band’s contribution to the motion picture soundtrack Johnny B. Good. In 1991, after a six-year hiatus, Negus and Gilmour rejoined the band. After an extensive tour to test the waters the band re-entered the studio in September of 1992 and then in April of 1993, the band released its tenth studio album, the energetic The Security Of Illusion. This was positive news to the band’s many loyal fans that had been “demanding” to see the original Saga together in the studio again. In 1993 with the original line-up in place and with again new horizons to be met the band set up house so to speak in California in Crichton’s Sound Image Studio’s and soon found themselves writing, producing and performing music for the television series Cobra, bringing Saga once again into a groundbreaking field for bands to follow. It was in 1994, that Saga released Steel Umbrellas, a new album from those sessions. With the release of Generation 13, Saga once again pleased its longtime fans while shocking those with outmoded preconceptions of what the band sounds like. An emotional story, along with peerless musicianship, combines to make this recording, one of their most important accomplishments to date. In 1995, Saga once again found themselves on the forefront of technology as they produced a unique multimedia retrospective - The Saga Softworks - An enhanced CD-ROM digital retrospective of Saga - Past, Present, and Beyond. Currently, the rapid expansion of the Internet has resulted in a gathering place for Saga fans to converse and find out the latest information on the band. To date, there are many different sites maintained by fans. A fan community called Worlds Apart can be found at www.worldsapart.ca. The next chapter in Saga's career began in 1997 with the release of Pleasure And The Pain. In addition, Saga introduced another innovative way to communicate with their fans. For one week in, a bus full of lucky people from five different countries traveled with the band and crew. With 1997 being a milestone year for Saga the Band’s efforts would not pass unrecognized when at a show in Offenbach Germany on June 13 the show was stopped and Saga was presented citations from the Prime Minister of Canada and the Premier of Ontario, in celebration of their 20th Anniversary together and as musical ambassadors of Canada. 1998 saw the release of Saga's long awaited second live album Detours, a two-CD set recorded in Germany, Austria and Holland. Released throughout Europe, North America and Japan, the career retrospective contains: 22 songs, and with Saga once again leading the wave of technology, this offering included one live video on each disc, and a bonus hidden track, making this a 25-song package. Late 1999 Saga released Full Circle, which marked the musical return to the very elements of their earlier recordings. “The new songs might as well stem from the time of Worlds Apart or Heads Or Tales comments Jim Crichton, who produced the album. “The material on Full Circle sounds classic but is certainly neither archaic nor dated.” He’s talking about songs like the opener “Remember When (Chapter 9)”, which contains all of the important elements of the familiar Saga sound, “A Night To Remember” with its driving groove, and the return of several other signature Saga traits the first return of the "chapters" after a long absence, “with only eight of the sixteen chapters told to date it was time to continue the story” says Crichton. For 2001 the band released their latest and most current recording House Of Cards. “At the beginning of our career we described our style jokingly as ‘medieval funk’ but these days we no longer need fantasy terms to define our music. It’s simply Saga.” Listening to “God Knows,” the opener of the new album, it becomes immediately apparent what Crichton is talking about. It’s hardly possible to imagine a more timeless Saga anthem. After a few minutes House Of Cards proves to be an intense and inventive Saga recording with lots of wonderful songs as well as the continuation of the “chapters” series. The single "Money Talks" was quite a success for a 24-year old band with the video breaking the top 5 at Much More Music in Canada up against all of the boy bands which seem to dominate the video market these days. As 2001 winds down Saga once again set out to record the next installment in a long, fruitful career. The year 2002 will mark the 25th anniversary of Saga. In September the band will release their 15th studio album. The year will be marked with a DVD filming in the summer to commemorate this milestone. In addition to this the band will have their entire 20-CD catalog re-mastered and re-released over the year 2002 and the release of their first ever DVD titled Silhouette. - Saga are a Canadian rock band, formed in Oakville, Ontario. Jim Crichton and Welsh-born vocalist Michael Sadler have been the principal songwriters for Saga. Ian Crichton is the band's guitarist; apart from his work with Saga, he has recorded several solo albums as well as sessions with Asia. Saga has had numerous line-up changes throughout their career. Currently, Crichton, as well as his brother Jim, the band's bassist, are the only two original members who have appeared on every album. Lead singer Michael Sadler has appeared on every release by the band apart from their 2008 album The Human Condition, in which he was replaced by Rob Moratti. Though not present on the group's first two albums, current keyboardist Jim Gilmour has been with the band since 1979, making his debut on the album Silent Knight. He departed from the band in 1986, returned later in 1992, and has remained in the group since then. Saga have been awarded gold and platinum albums worldwide and have sold more than 8 million albums. 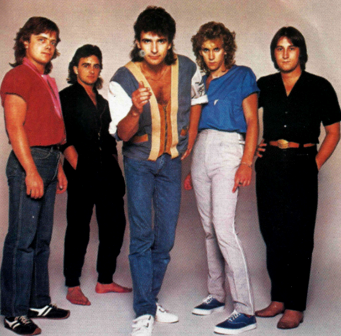 Originally known as Pockets, Saga formed in 1977 from the nucleus of Canadian rock band Fludd. In June 1978, they released their self-titled debut album Saga. A modest success in Canada, it would eventually sell over 30,000 copies in Germany as an import. It also became a major seller in Puerto Rico, after a local stereo equipment store featured the guitar-keyboard duet of the band's single, "Humble Stance" as part of its radio advertisements. Two other songs, "How Long?" and "The Perfectionist" (a song about a psychopath, Ellery Sneed, who secretly poisons the attendants to a feast he has organized), also became local favourites. Their 1979 follow-up album Images at Twilight gave them their first charting single in Canada with the song "It's Time" peaking at No. 84 in the Canadian Charts. From the album, the songs "See Them Smile" and "Slow Motion" became strong radio favourites elsewhere. Saga's next album, Silent Knight was released in 1980 and included the singles "Don't Be Late" and "Careful Where You Step". In 1981, the band's 4th album Worlds Apart was released. The lead single "Wind Him Up", finally broke them into the Top 40, peaking at No. 22 on the Canadian Charts in January 1982. A second single, "On the Loose", also fared well with the help of its music video receiving heavy rotation on MTV, and in December 1982, proved to be their breakthrough in America where it peaked at No. 26 on the Billboard Charts in March 1983. "Wind Him Up" became the second single in America, peaking at No. 64 on Billboard the following month. Eventually, Worlds Apart was certified Gold in the USA in 1983. The band opened for Jethro Tull on their North American tour in 1982. Following on the success of Worlds Apart, the band won the 1982 Juno Award for "Most Promising Group of the Year." A 5th album Heads or Tales was released in late 1983 and became another success. The lead single "The Flyer" fared well in Canada and also became their final U.S. hit, peaking at No. 79 on Billboard in November 1983. The follow-up single entitled "Scratching the Surface" became popular in Canada, peaking at No. 45 in April 1984. Their 6th album, Behaviour, was released in 1985 and included the singles, "Listen to Your Heart" and "What Do I Know?" (charted No. 57 in Canada). In 1986, Steve Negus and Jim Gilmour left the band over management concerns, soon deciding to form a new band project under the name Gilmour-Negus Project (GNP). In 1988, they released their one and only album, Safety Zone (featuring Robert Bevan on lead vocals). Meanwhile, Saga continued to record and tour, with Michael Sadler and the Crichton brothers augmented by session musicians. Their 1987 release Wildest Dreams enjoyed better distribution under new label, Atlantic Records, but it failed to match expectations in America. The lead single "Only Time Will Tell" became a popular Chart favourite in Canada (No. 93), with a memorable video rotated on MTV for a brief period. However, the remainder of the album suffered from over-reliance on technology, with armies of sequencers and drum machines replacing much of the band's earlier trademark sound with Gilmour and Negus. 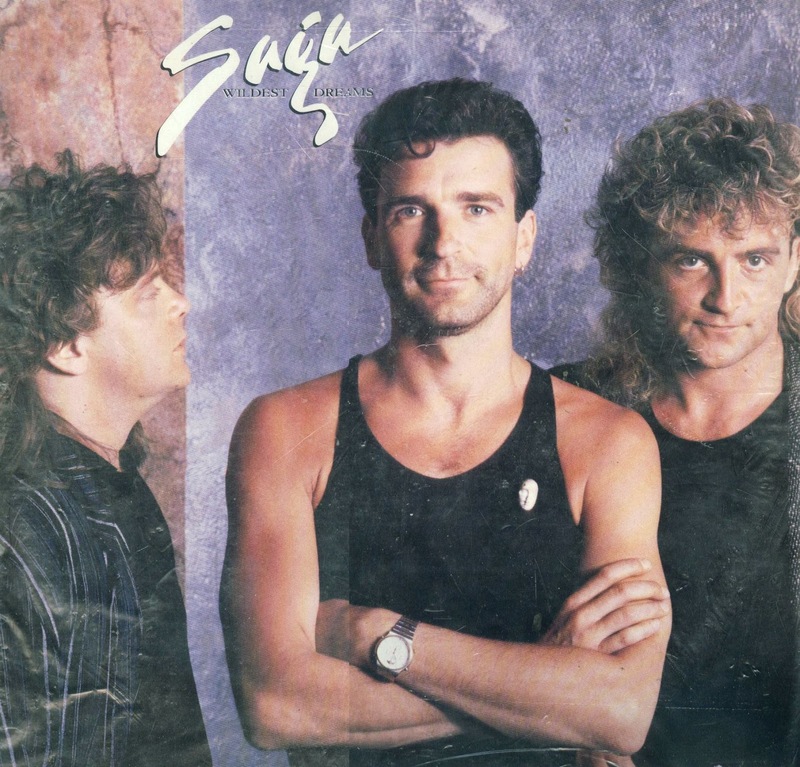 For 1989's The Beginner's Guide to Throwing Shapes, Saga refocused on their earlier European popularity which marked a return to their earlier progressive style with a few pop elements to it. In 1992, Steve Negus and Jim Gilmour returned to Saga. The band's next album, The Security of Illusion, was well received by Saga fans in Canada and Europe. The 1994 followup, Steel Umbrellas, was considered uneven when compared to their previous release, perhaps due to the material originally being produced for the short-lived television series Cobra. However, despite lackluster album sales, Saga's 1993 and 1994 tours helped maintain some of the band's early popularity; their reputation as live performers was not lost among the band's long time fans. In 1995, Jim Crichton composed and produced the majority of Saga's next album, the conceptual Generation 13. Inspired by a popular political treatise by the same name, the story follows main character Jeremy's troubled search for his real father. The concept is somewhat reminiscent of the storyline in The Who's Quadrophenia. The album's heavier compositions have a sound similar to fellow Canadians, progressive rock band Rush, and even early Kansas. Saga's next release, Pleasure and the Pain was released on the eve of their 20th anniversary tour in 1997. The album failed to maintain the interest created by the previous release. On the same anniversary tour the album Phase 1 was released. Phase 1 was an album containing demo songs from the 1979 album Images at Twilight — some of them were songs found not good enough for the album, some of them were different versions of songs released on Images. The album quickly sold out and a second issue was printed. The album was hard to get and it soon became a most wanted item for Saga collectors and fans. Their 1998 tour was captured on the next album, Detours, a double-live album released worldwide. Saga's next three albums, 1999's Full Circle, 2001's House of Cards, and 2003's Marathon have all been popular with the band's longtime and loyal fanbase. House of Cards, in particular enjoyed renewed interest. Its acoustic-flavoured single, "Money Talks", received Top 5 video airplay in Canada. All three albums included new "chapters", representing a return to the progressive rock of the band's early days. Saga released a new studio album, Network, in the fall of 2004. Their next album, Trust, was released in 2006, featuring Brian Doerner as their new drummer. Doerner made his debut on a live Canadian television broadcast in late 2005. Even though Jim Crichton and Michael Sadler both live in Los Angeles, they have not committed Saga to any full-length American tours since 1986. However, in late 2005, Michael Sadler announced a limited tour on the West Coast to promote his solo album, Clear. The trek featured Ian Crichton as touring guitarist. Saga also played one show in New York City during their summer 2006 tour in support of Trust. The Chapters is the name given to a series of songs that the band revealed over a 28-year period in a mixed-up order, creating a conceptual puzzle. Each song in the sequence was subtitled "Chapter One", "Chapter Two", etc. In its final form, The Chapters tells a cohesive science fiction story concerning the preservation of Albert Einstein's brain, aliens who are concerned with humanity's self-destruction, and the resurrection of the dead through technology. The first eight Chapters were issued, out of order, across the band's first four albums, issued between 1978 and 1981. After a long layoff, Chapters 9 through 16 were issued, again out of order, across three album releases between 1999 and 2003. Songs from the cycle have been performed in concert throughout their career. The Chapters were finally released all together in a 2 CD live recording called The Chapters Live in 2005. Despite the band's fluctuating musical styles and limited commercial success in the United States, their fans have remained extremely loyal over the decades. Their musical style was defined by Ian Crichton's staccato guitar riffs, often in harmony with a synthesizer, and complex keyboard arrangements, frequently featuring three players. The band has been constantly successful in Germany since its inception. It is also very popular in Puerto Rico: Saga has visited the island twelve times. Saga's second concert in Puerto Rico (1981) caused riots from fans trying to crash into a sold-out concert that sold over 10,000 tickets. Most of the inner cover photographs from the original vinyl release of In Transit (1982) were taken in Puerto Rico, including a live photograph from the 1981 concert. For a few years, a keyboard riff from their song "No Regrets" became the background music for station breaks at WCAD-FM in San Juan. The band received formal recognition as distinguished visitors from the Puerto Rican legislature in February 2005. Their concert on December 9, 2007 (at the Pier 10 Arena club in Old San Juan) was the last concert that Michael Sadler did with Saga until his announcement of returning to the band on January 2011. On January 16, 2007, it was announced by InsideOut, the band's current record label, that lead singer Michael Sadler would be leaving Saga for personal reasons at the end of 2007. Later that year on Michael's personal site, michaelsadler.com, a note was posted by the singer revealing that his departure was due to a desire to focus on his family life and retire from the stress of being in an active travelling band. A farewell tour of sorts is in the works which will also commemorate Saga's 36th anniversary as a band. Saga announced on July 15, 2007 that they were recording a new album in Los Angeles. Titled 10,000 Days the album was released on November 6, 2007 in conjunction with their planned European tour. ("10,000 days" equates to 27 years, 4.54 months, approximately the amount of time Sadler spent with the band). 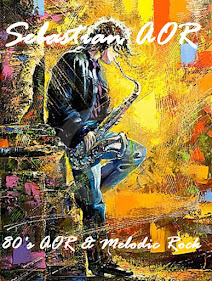 Sadler also recorded a forthcoming DVD commemorating his last European tour with Saga. Just prior to the release of 10,000 Days, in October 2007 drummer Brian Doerner suffered a heart attack. He has since made a full recovery, but a stand-in drummer (Chris Sutherland) was required to fulfill touring commitments. Saga announced they were auditioning lead vocalists to continue the band's career. The musicians recorded instrumental versions of "On the Loose" and "Wind Him Up" for prospective singers to perform on YouTube, with the winning candidate to be announced at a later date. During the search, Ian Crichton remarked that hopeful candidates "should have a set of pipes" as well as personality. The guitarist also remarked that a Canadian would be preferable, presumably because of travel considerations and the band's nationality. Over 20 candidates (including one woman) submitted demos from across the Atlantic and Caribbean. On April 15, 2008, Saga announced that Rob Moratti of Toronto, former singer of Final Frontier, had joined the band as the new lead vocalist. Moratti's background included more than a decade of experience in the Canadian rock music industry, recently working with the respected guitarist-producer Mladen Zaron. Throughout his tenure with the band, Moratti concentrated on lead vocals, leaving the band's instrumental dynamics somewhat changed from the Sadler era, where the lead vocalist often doubled on bass guitar and keyboards. Saga's first gig with Moratti took place in the summer of 2008. Also, 2008 saw the release of a book about the band's history, 'Saga: The Biography', by renowned rock journalist (and long-time friend of Saga), Edwin Ammerlaan. In 2009, Saga released their first CD with Rob Moratti. This CD was titled The Human Condition and was released in the spring 2009. The band toured in Europe and Canada. On January 28, 2011, an official statement was made announcing Michael Sadler's return as the lead singer of Saga. On February 1, 2012, Saga announced that after 6 years of touring and recording together, Brian Doerner and Saga have parted ways. Following YouTube auditions, Mike Thorne (a native of Toronto) was announced as the new drummer of Saga. On July 6, 2012, Saga's twentieth studio album, 20/20, was released. It marked the return of original vocalist Michael Sadler. On June 27, 2014, Saga released their 21st album entitled Sagacity, which received mostly positive feedback from fans. The album quickly topped the iTunes rock lists around Europe (most notably in Germany). A reissue campaign covering the later years (from 1989 to 2007) was announced in 2015, spanning twelve albums in twelve months. However, after five remastered albums the campaign was seemingly aborted without any official statement from the record company, the live recordings intended for the series instead appearing as a live album Live in Hamburg 2015, which is strictly limited to 5000 copies worldwide.